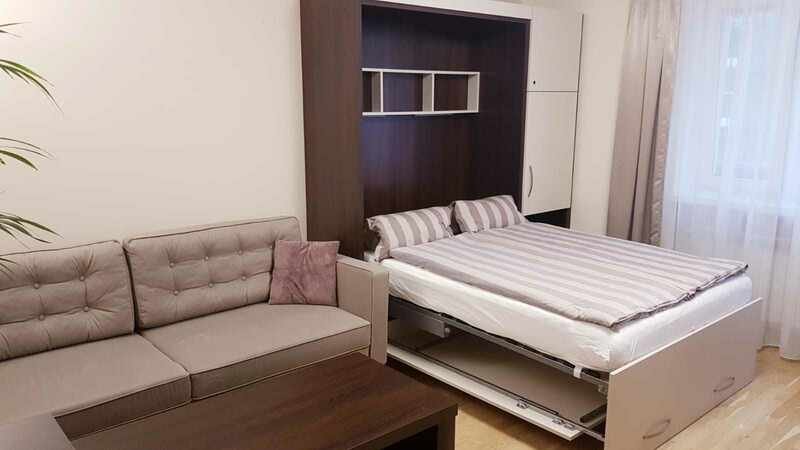 On the second floor in Tomasza Street 25 you can rent an apartment (50 m2) for your stay in Cracow (registration number 2017/74). The apartment consists of a bedroom for two people with balcony, a living room with sleeping for two more people, a kitchen and a bathroom. 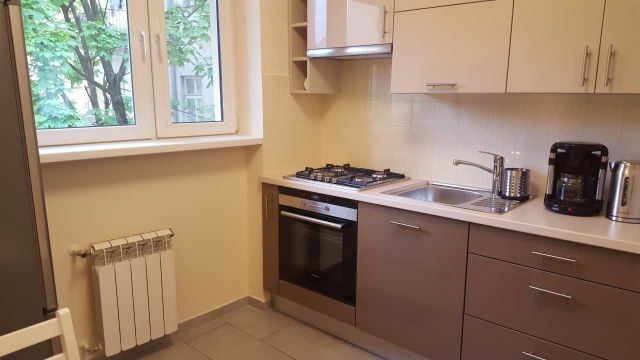 The apartment is ideal for visitors who want to live in the very heart of Krakow. 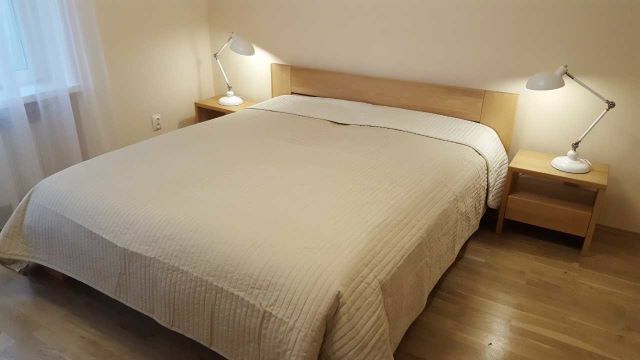 Large double bed (180 x 200 cm), 2 comfort mattresses and supple slatted frames, very long synthetic bedding (155 x 220 cm, suitable for allergy sufferers), two bedside tables, two bedside reading lamps, spacious built-in wardrobe. Gas stove with four burners, coffee machine, water heater, toaster, oven with grill function, kitchen sink, freestanding fridge with freezer, kitchen table with two chairs, wardrobe with shoe rack. Fold-out sofa (lying area 142 x 197 cm), coffee table, large dining table for 4 people, commode, TV table with TV, free internet (wifi), standing reading lamp. 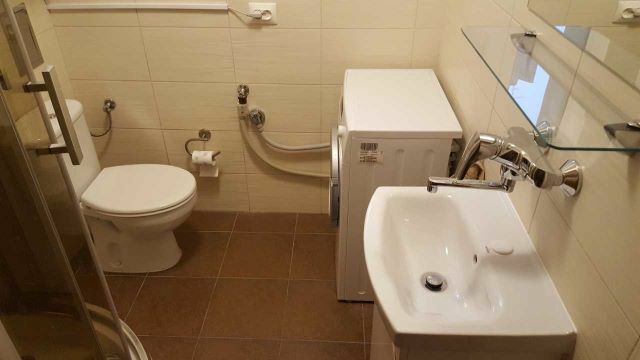 Shower with thermostatic mixer, gas boiler with closed combustion chamber (no open gas), washbasin with a small cabinet, washing machine, ironing board, iron, clothes horse. All windows are with roller blinds and one window per room is equipped with fly screens. In the apartment smoking and pets are not allowed. Besides, the apartment is not rented to participants of bachelor parties. Welcome are young and older couples and guests very interested in culture!